Tankless water heaters are among the newer tools that are used for homes because they are more efficient for conserving energy. The traditional units continuously heat or reheat water to keep it warm and provide you with hot water whenever you turn on the tap. The tankless units are more focused towards heating up water instantly with the help of high-powered electric or gas burners. Because these units don’t come with a tank, it works to provide hot water on demand. However, the instant heating process requires more power, but these units conserve energy because they don’t heat water repeatedly as is the case of the traditional or tanked water heater. Consumer Reports (CR) is an institute that has studies such appliances at an extensive level. As per a study conducted by CR, the gas-powered heaters are up to 22% more energy efficient as compared to the traditional units. In certain situations, tankless units are the best option that you can use for your home, for instance, if you have a small family or home and there are not too many users to open multiple faucets at a time. Nevertheless, these units are more expensive as compared to the traditional ones. Now, there are positives and negatives associated with the use of water heaters. We have written this article to provide you with information on the pros and cons associated with tankless water heaters. 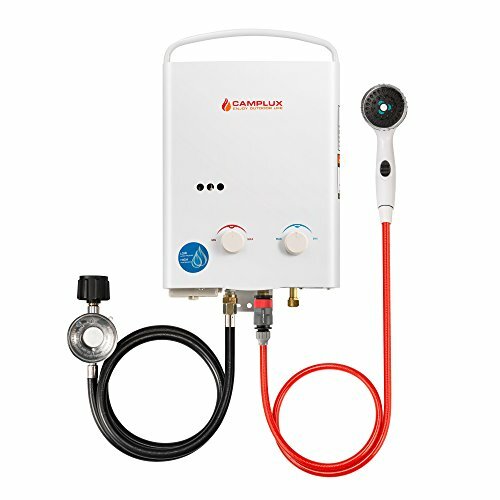 The tankless heater flushes out the cold water from the faucet and provides you with an uninterrupted supply of hot water right from the beginning. On the basic level, you can say that these units can deliver on their promising of providing you with hot water instantly without bulky tanks. Another considerable advantage is that these heaters come with a longer lifespan as compared to the tanked versions. A good quality tanked unit can last up to a decade whereas; the tankless units can last twice as long. This can save you from investing in a water heater every ten years. 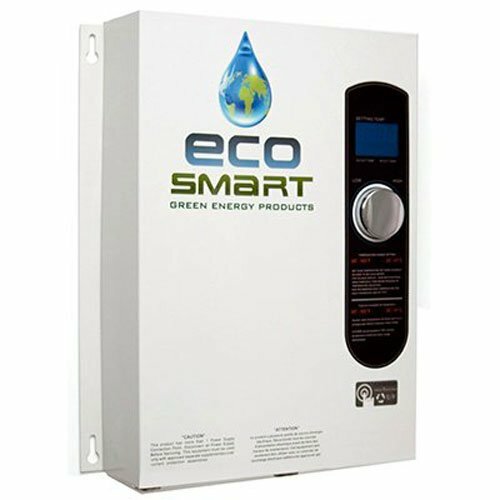 The tankless units are far more expensive as compared to the tanked units but they are more energy and cost efficient. As mentioned above, a study conducted by CR suggests that tankless heaters are 22% more efficient as compared to their tanked counterparts. The savings might be normal on a monthly basis but you can still save hundreds of dollars. When it comes to space and size, these units are far smaller than the traditional unit. The tank itself of the traditional units can take up plenty of space and due to this, the traditional units is very bulky. Tankless units are small and you can mount them on your basement walls. These units can also be used in small homes in inconspicuous spaces. 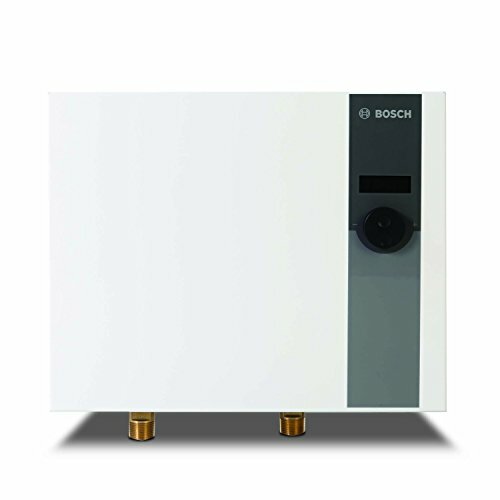 Tankless water heaters are efficient both in terms of energy and cost. For this reason, they qualify for federal tax credits and you can offset your high installation costs with convenience. Tax authorities in many states offer tax breaks on overall purchasing and installation. Furthermore, the units that are certified by EnergyStar qualify for tax credit in some states as well. This is arguably the best advantage of a tankless heater because these units eradicate hefty losses. The traditional counterpart needs to reheat the water continuously and it raises the energy costs during the reheating process. Even if no one is using hot water or no one is at home, your tanked water heater will still be working and heating water stored in its tank. 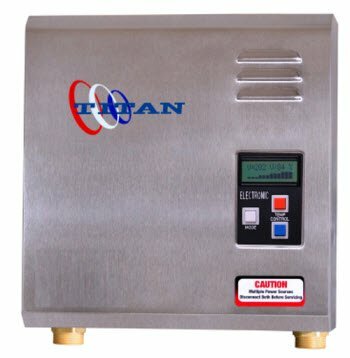 If you live in a house where hot water is in high demand then your tanked water heater will run out occasionally. For instance, if four or five people take a shower and you are using the dishwasher as well, the tanked water heater will empty and you will have to wait for more hot water once the tank is reheated. The tankless units ensure that everyone gets their fair share of hot water (as long as they are taken consecutively, not simultaneously). A tankless unit doesn’t rely on the reserve to cater the demand of hot water. In most cases, the tankless heaters run on natural gas. However, you can also buy the units that are powered by electricity. 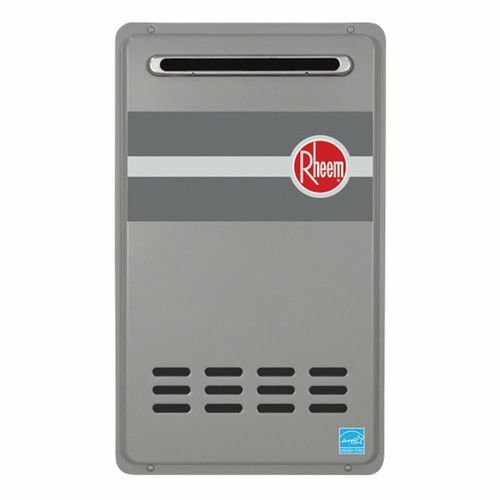 If you have some issues with the electrical infrastructure of your home, you can either buy a propane-powered or natural-gas tankless heater. Nevertheless, you might need to reroute your gas lines to install a gas-powered unit. These heaters have long warranties because they have a longer lifespan as compared to the tank models. In case of any issue with your water heater, you may not have to pay for any repairs or replacements. These warranties can go up to twenty years and some of them also come with a lifetime warranty. 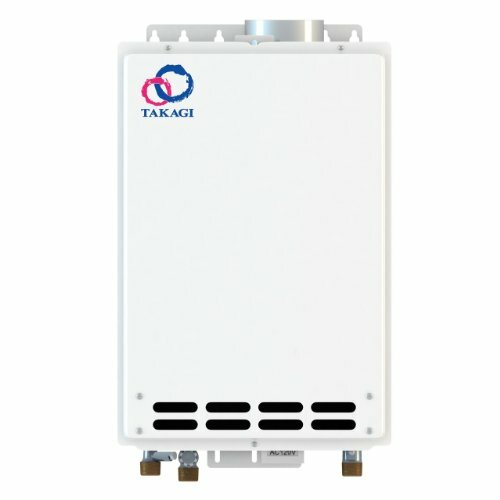 If you have a modest demand for hot water due to a small family or have a small home then a tankless model is the best option for you. These units will get rid of the standby losses and will also provide you and your family with enough hot water instantly. Two or three people can consecutively shower and you can also do the laundry or wash dishes. In their study, Consumer Reports also mentioned that the users had reported many complaints regarding the inconstant water temperatures when using a tankless model. This problem appears due to the inability of the unit to deliver ample amount of hot water that you and your family can use in more than one place at the same time. In addition to that, the tankless units also don’t turn itself on if the outlet is a little open,especially when rinsing toothbrushes or shaving, for example. 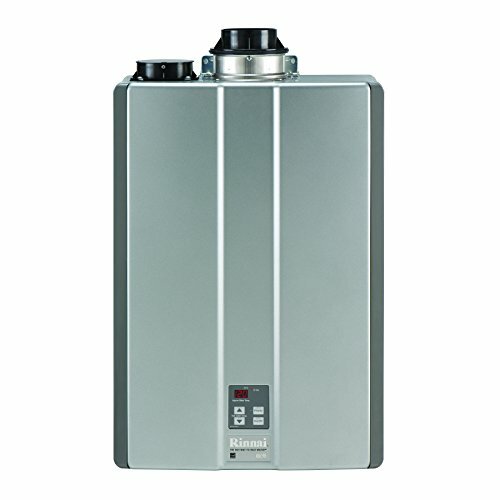 Another one of the significant issues that the tankless water heater users have is the high initial costs. The tankless units are far more expansive as compared to their traditional counterparts. An average conventional unit may cost approximately $500 whereas the cheapest of the models start at $1000. Moreover, the installation of these tankless units need more expertise and further adds to the initial costs. Therefore, you have to factor the labor costs into the price tag as well. 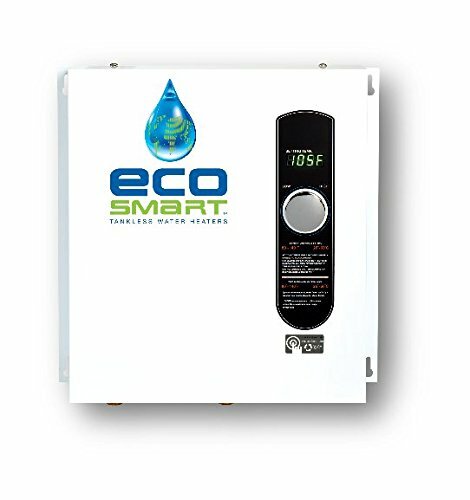 The tankless models provide you with a constant and instant hot water. However, this is not an unlimited supply that you can use all day.The traditional models reheat many water gallons simultaneously. It is an ideal scenario for one individual to take a bath or to do the dishes. It can also go well for a couple of people bathing simultaneously. However, a tankless water unit is not constructed to constantly meet the increasing demand for hot water. A traditional unit can store anywhere from 30 to 80 gallons of water based on the capacity. Such a model will have no issues in giving hot water for more than one outlet at the concurrently. You will need a plasticizer or water softener in most cases to operate with the tankless unit and improve its functioning. The price of this softener will add to the cost of a tankless unit. Furthermore, this softener will overlook the advantage of space saving as well. A plasticizer is a large unit, and it also comes with salt bags, in which case it will consume more space in addition to the wall-mount which might make the heater larger than a traditional one. Your tankless heater might not work well with the traditional setup, and you might need to reroute your gas lines. It will further make an addition to the final purchasing and installation costs. Your contractor might have to add new venting or reroute the gas line which will make it a costly project. Tankless units lower monthly costs better as compared to the traditional one, but regarding savings, a tankless unit might take long to cover the initial installation costs for the high price tag and installation costs. It will become out on top with savings, but as per the findings and research of CR, the energy conservation with a tankless unit will add approximately $75 annually on an average basis. It means that you will start your monthly savings after six to twelve years to cover that high price tag and initial installation costs. Most of the time, the purpose of using a tankless model is to save money. But a tankless unit isn’t the only technique for solving this problem. You can also alter your water consumptions habits and make the water system of your home very efficient. Moreover, an efficient dishwasher or low-flow plumbing fixtures or changing bathing habits can significantly lower your bills. It can substantially contribute to reducing water expenses as compared to installing a tankless water heater. Another efficient option is solar heating for water which is gaining a considerable amount of popularity recently. These solar units feature storage tanks and collectors powered by solar energy. In this case, you won’t need to install new electric fixtures or reroute your gas lines. You can use these units in almost any climate that has plenty of sunshine. The installation cost is a small issue, but you can recoup these expenses quickly because your solar water heater will not need electricity or gas to operate. If you want to keep your warranty valid, then you will have to check your tankless water heater for support on a yearly basis. You might have to check your water softener or flush out the system every year to prevent the buildup of mineral deposits within the unit or the water lines. Maintenance cost of these units together with the initial installation and buying costs will counteract the savings by lowering the energy and water consumption. There are conventional units with EnergyStar certifications also available for sale. These units will not only provide you with monthly savings but will also lower the initial installation costs. Furthermore, these units can also get tax breaks, and you won’t need to make any noticeable variations to your electric fixtures or gas lines. Most homes have the facility for accommodating the water heaters based on your needs. The tankless units are the best option for your home if you are willing to invest more money and don’t have a high hot water demand in your home. These will provide you with water and energy savings in the long run and the period varies from six to twelve months. These are designed for small homes and families because they don’t take up much space and will give you hot water on a continuous basis. However, the price tag and installation costs are high. There are different financing facilities also provided by the retailers of these units. The buying decisions are based on your needs and requirements. If you prefer the size and want to invest in the long-term option, then it will be an ideal choice for you. The crux of the matter is that water heaters can significantly reduce energy consumption but at an initial high cost. Furthermore, it serves one water outlet at a time which means that someone is going to have a cold shower if more than one faucet is running at a time. The tankless water heater mounts on the wall and won’t take up much space because it doesn’t come with a water storage tank. The savings are absolute, but they will only be significant in about six to twelve years time.